I’ll admit, I rather enjoyed the first Best Exotic Marigold Hotel. Sure, it wasn’t a perfect film, nor was it trying to be. But it was a fun, heart-warming little story about old age and cultural differences. And I wasn’t alone in enjoying it – the film went on to be a surprise box office hit, with reported takings of approximately $135 million against its $10 million budget. So, it comes as no surprise that a sequel was made, which is out now on DVD & Blu-ray. John Madden returns to direct The Second Best Exotic Marigold Hotel, a disappointingly underwhelming sequel that fails to justify its own existence. Now firstly, this sequel is purely made for people who have seen the first film so I shan’t waste any time describing the story of the The Best Exotic Marigold Hotel – I can only assume that if you’re here to read this, you’re familiar with the characters and the premise. I would usually use this paragraph in my reviews to outline the plot of the film I’ll be discussing, but The Second Best Exotic Marigold Hotel doesn’t seem to really have much of one. From what I gathered, the main plot of this sequel was the plan to expand the hotel’s business by purchasing a second building – reflected in the title. But on the whole the film felt made up of deleted scenes from the first film, with a large amount of short and silly subplots – the worst one being based around the character of Norman believing he has unintentionally put a hit out on his girlfriend. As in the first film, the cast are brilliant. Maggie Smith steals the show again as the bitter and cynical old Muriel, who hides a heart of gold beneath her rough exterior. Judi Dench shows up to play Judi Dench again, Bill Nighy is the same old bumbling charmer, Ronald Pickup is the same borderline pervert and Celia Imrie the same borderline old slag. The older cast clearly relish these roles and seem to be having a great time playing them again. 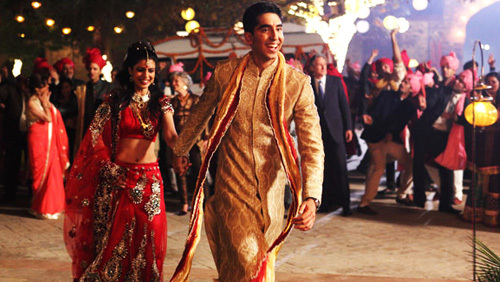 Dev Patel returns too and amps the annoyingness of his character up to 11, but you can’t stay mad at him because you can tell he’s loving it so much. I wish I enjoyed watching the film as the cast clearly enjoyed making it. Richard Gere is in it too, but I don’t think he knows that. He seems a little confused by it all. Bless him. As discussed, the main issue with The Second Best Exotic Marigold Hotel is the plot, or lack thereof. This issue could lie with the target audience. After the success of the first film in this particular audience bracket, the sequel feels more aimed at an elderly audience than the first. The lack of plot, the cheesier jokes, the happier feel and lack of death; this is something that has far more to enjoy for someone like my lovely old nan than me. But another problem is the length! Clocking in at two hours, the film reeeeeally drags. It felt like it was wrapping up and finishing about 10 times! But every time it did, another little subplot began and you knew you weren’t free yet. There’s really not a lot to say about this film, because there isn’t anything in it worth discussing. The only good things about it – the cast, the location, etc. – were all present in the first film. There’s nothing here at all to make the film stand out, or feel any different to the first. The rule of sequels is to be bigger and better. The Second Best Exotic Marigold Hotel is neither. I wanted to like The Second Best Exotic Marigold Hotel. As I said, I found a lot to like in the first film and was looking forward to seeing the characters again. But the lack of any real narrative drive or any decent laughs just made it feel desperate, forced and unnecessary. The Second Best Exotic Marigold Hotel should close its doors. We certainly don’t need to see a third. 2/5.